Welcome to the site of Dr. Joerg Evermann, Associate Professor of Information Systems with the Faculty of Business Administration at Memorial University of Newfoundland. 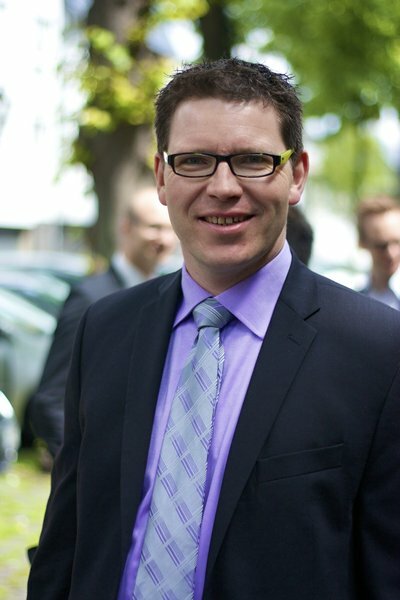 Dr. Evermann received his PhD in Information Systems from the University of British Columbia. Prior to being a faculty member at Memorial University, Dr. Evermann was a lecturer in Information Systems with the School of Information Management at the University of Wellington, New Zeland. Dr. Evermann's interests are in business process management, statistical research methods, and information integration. Dr. Evermann has published his research in more than 70 peer-reviewed publications. His work has appeared in high-quality journals, such as Decision Support Systems, IEEE Transactions on Software Engineering, IEEE Transactions on Knowledge and Data Engineering, IEEE Transactions on Services Computing, Journal of Business Research, Organizational Research Methods, Structural Equation Modeling, Journal of the AIS, Information systems, and Information Systems Journal. Dr. Evermann has presented his work at international conferences, such as ICIS, AMCIS, CAiSE, ER, among others. Dr. Evermann lives with his wife and his 9-year-old son in St. John's, Canada. Mehdiyev, N., Evermann, J., and Fettke, P.: A Novel Business Process Prediction Model Using a Deep Learning Method. BISE Business and Information Systems Engineering (accepted May 22nd, 2018). Mehdiyev, N., Fettke, P. and Evermann, J.: A Multi-Stage Deep Learning Approach for Business Process Event Prediction. Accepted to the 19th Conference on Business Informatics (CBI), Thessaloniki, Greece, July 24-27, 2017. Evermann, J., Rehse, J.-R., and Fettke, P.: XES Tensorow - Process Prediction using the Tensorflow Deep-Learning Framework. Accepted to the Conference on Advanced Information Systems Engineering (CAiSE) Forum, Essen, Germany, June 12-16, 2017. Evermann, J., Rehse, J.-R., and Fettke, P.: Predicting Process Behaviour Using Deep Learning Decision Support Systems, , 100, 129-140. I have always been interested in information technology, especially as it relates to business. I graduated from the University of Münster, Germany, in 1998 with an undergraduate degree in Information Systems. After a brief stint with KPMG Consulting, where I focused on the SAP enterprise system, I pursued graduate studies at the University of British Columbia, finishing in 2003 with a PhD in information system. After four years as a lecturer at Victoria University of Wellington, I returned to Canada in 2007 to take a position in Information Systems at Memorial University. My current interests focus on business process management. I am particularly interested in using event logs from business process management systems to identify the underlying processes and to manage these processes at runtime. Because of the size of such event logs, I am turning to Big Data and Cloud Computing techniques, as well as modern Deep Learning tools. I am doing interesting work on Process Management in the Big Data and Data Analytics area. Process discovery is based on event logs from servers, or API call logs from enterprise systems. This data is rapidly increasing in volume, and increasingly distributed, for example due to load-balancing across different nodes. I am investigating how scalable, distributed computing techniques such as Map-Reduce can best be applied to process discovery, and process mining in general. Related to this is my interest in Deep Learning. Recent advances in neural network architectures and GPU computing have made process prediction from large event logs feasible.